Siatka na 1.600 balotów do pras rolujących gratis! 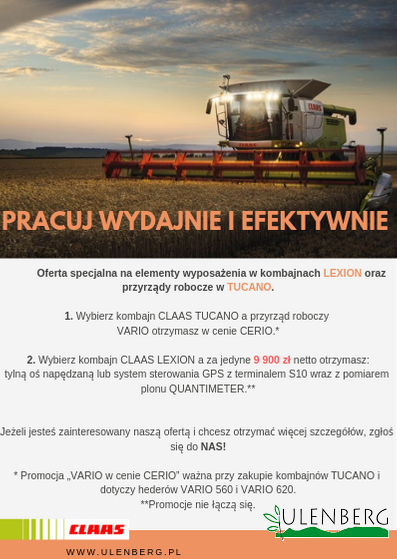 SKORZYSTAJ Z OFERTY DODATKOWEGO UBEZPIECZENIA MAXI CARE ZA 1 ZŁ! Już dziś przygotuj swój kombajn do żniw! Sorry, this entry is only available in “Polish”. For the sake of viewer convenience, the content is shown below in the alternative language. You may click the link to switch the active language.